The Maestro III may look similar to its predecessor. 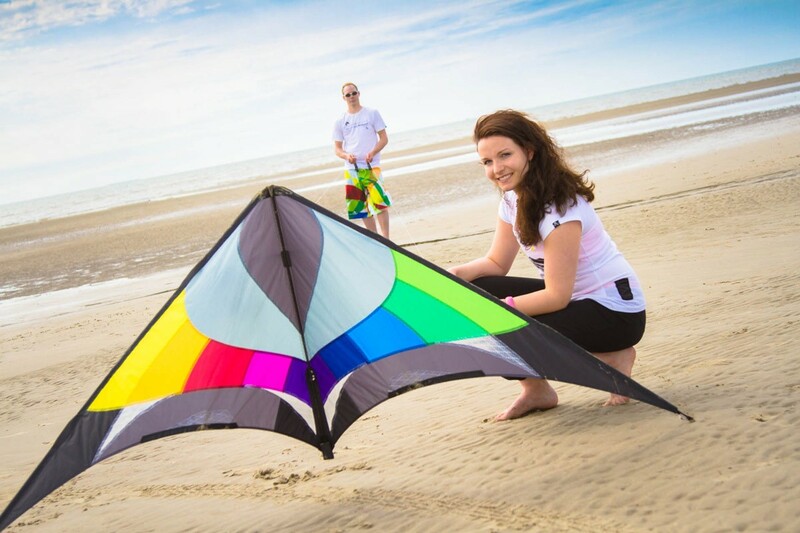 But it is a completely redesigned sport kite that delivers the latest in trick flying performance. A rapid rotation of the Maestro III's longitudinal axis makes the completion of tricks easy and exceedingly precise. Wrap tricks are another specialty of the Maestro III. Equipped with a light and rigid frame made of carbon and Dynamic T15, this freestyle machine will allow you to explore all the possibilities of freestyle flight with ease. Mylar panels give the Maestro III added stiffness and a distinguished look. Two removable 15 gram tail weights aid trick execution at stronger wind speeds. 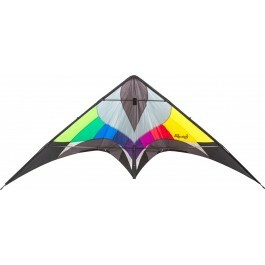 A moderate flying speed and predictable flying character make the Maestro III suitable for all skill levels. The versatility of this high-quality flying machine will never leave pilots bored.